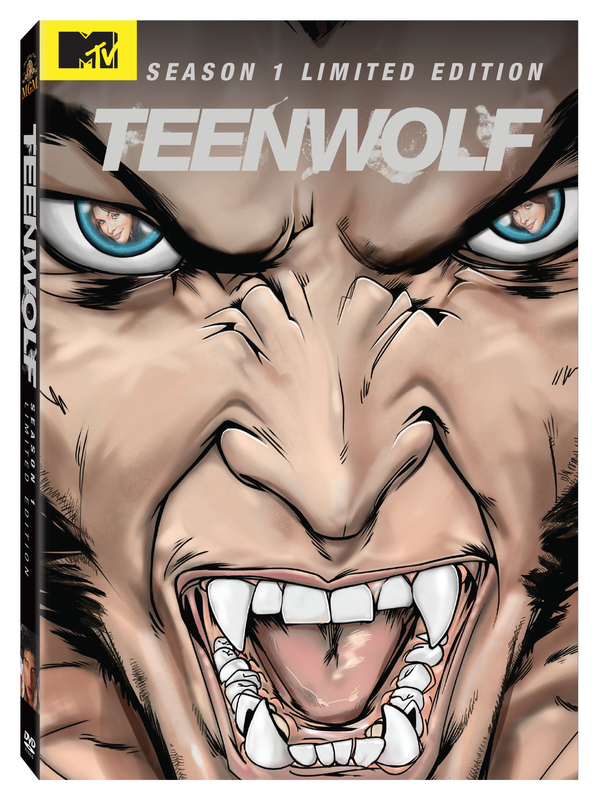 The Teen Wolf limited edition DVDs were exclusively sold at San Diego Comic Con (SDCC), all of them featuring Derek Hale and parts of his story on the DVD covers. The DVDs for seasons 1, 2, 3A, and 3B were sold at SDCC 2014 and the DVDs for season 4 were sold at SDCC 2015. As of SDCC 2017, limited edition covers have not been announced for seasons 5 and 6. Season 1 cover - Derek wolfed out with Kate Argent reflected in his glowing blue eyes. Season 2 cover - Derek's transformed hand holding a strip of pictures of him and Kate. In the photo strip, note the basketball on his Beacon Hills jersey and his eye glowing blue in the last photo. The hand holding the photos has fur going over his wrist in the style of the 1985 Teen Wolf movie, suggesting that Derek is the original Teen Wolf of this TV series. Although he is no longer a teen by the time the show starts, he was a teen at the time of the events surrounding the fire and played basketball just like Scott Howard from the film. 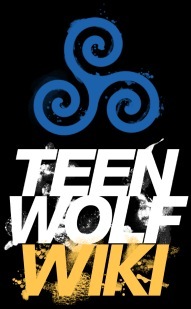 Season 3A cover - Kate flinging her arms around and kissing Derek, causing his hand to transform and his eyes to glow blue. Kate is holding an open lighter in her hand with the fire inside the Hale House visible behind them through a broken window. Below, a woman, probably Laura Hale, stands next to a red second generation Mustang while facing the burning Hale House and holding a leather jacket. Older Derek's much more serious glowing blue eyes are reflected in shards of broken glass in the foreground. The lines surrounding his eyes might be fur, possibly indicating his full wolf form. 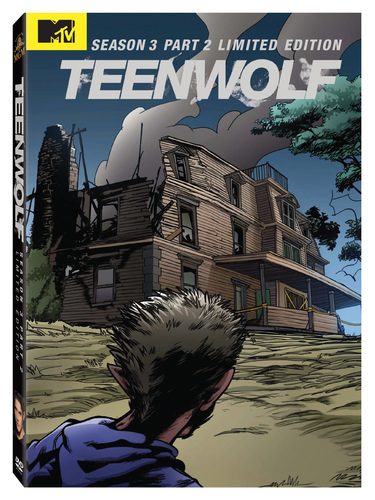 Season 4 cover - a stylized version of a scene from 4x11 - A Promise to the Dead with a shirtless Derek forced to rely on a gun as his werewolf powers have been stripped away. Behind him is the Hale Triskelion and the windows of his loft all in red. It is rather striking that red was chosen after featuring Derek's blue wolf eyes in the first three covers and wearing a blue hoodie in the fourth. Whether this hints Derek could become an alpha again at some point in the future or not, it certainly speaks to the prominence of the Hales in Teen Wolf.